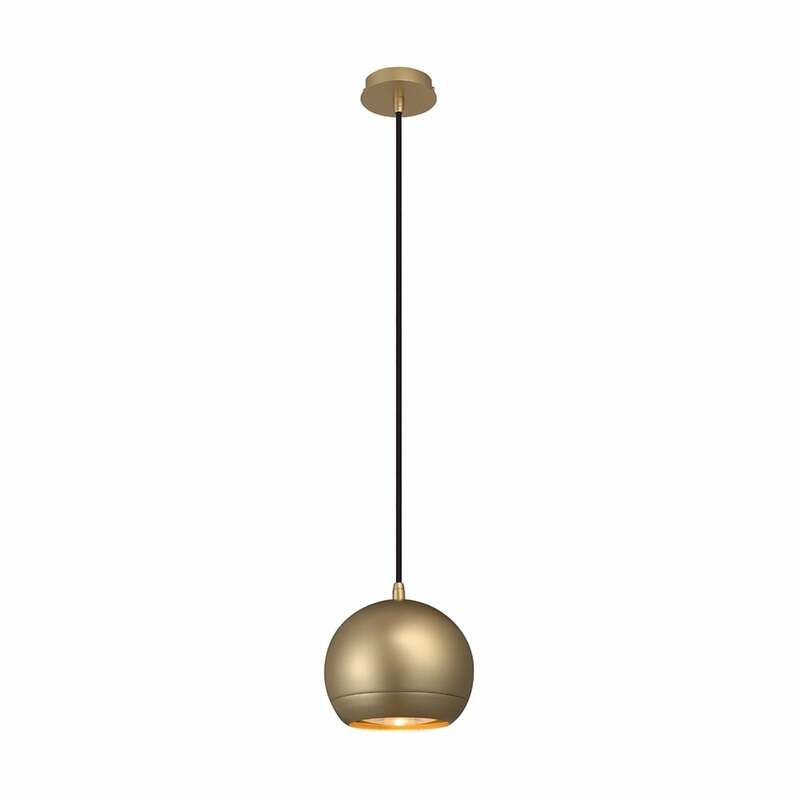 A beautifully sleek and contemporary design ceiling pendant featuring a small brass globe suspended on a black textile flex. This light would be perfect for lighting over a bar in a modern hotel or restaurant or even over your own home dining table or kitchen island. The flex can be shortened at the point of installation allowing for use in rooms with both low and higher ceilings.